Jennifer Haas is currently living in Cincinnati, Ohio, working as a Gregory Forrest Lester, Inc in "Gregory Forrest Lester, Inc" and is interested in Home Based Biz. 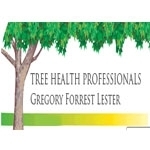 Certified Arborists From Our Cincinnati Tree Service Provide Tree Removal; Tree Trimming, Cabling &amp; Bracing; Tree Fertilization &amp; Disease Treatment; Plus Landscaping and Masonry. We work quickly, using larger crews to complete even large jobs the same day. This profile is owned by Jennifer Haas. Send a message to this person to delete this profile.